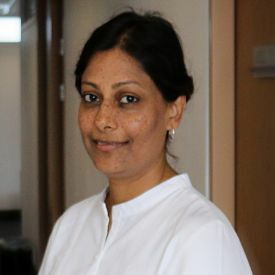 Sujata Visaria is Associate Professor in the Department of Economics at the Hong Kong University of Science and Technology (HKUST). She earned her Ph.D. degree from Columbia University, and worked at Boston University for four years before coming to HKUST. Her research studies how financial institutions affect micro-level outcomes in developing countries. She has published in journals such as the American Economic Journal: Applied Economics, American Economic Review and Econometrica. She is an affiliate of the Bureau for the Research and Economic Analysis of Development (BREAD) and the Small and Medium Enterprise Initiative of Innovations for Poverty Action. Credit and information constraints are particularly acute for farmers in developing countries, and can have a strong impact on their productivity.